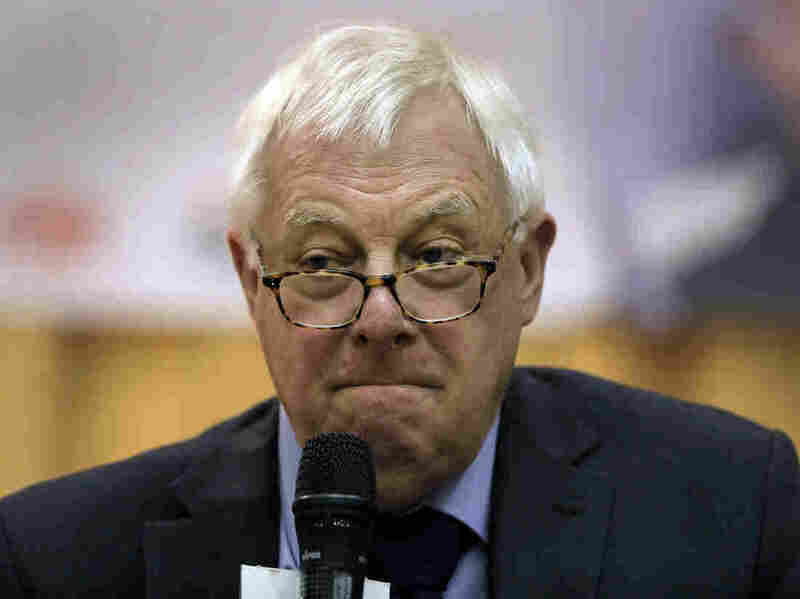 Hong Kong's Last British Governor Criticizes Beijing 20 Years After Handover : The Two-Way On the anniversary of Hong Kong's return to China, Chris Patten has harsh words for Beijing's heavy-handed approach to the governance of the territory. Chris Patten, Hong Kong's last British governor, listens to questions during a dialogue session with students at Hong Kong University in November. The last British governor of Hong Kong, who helped negotiate its return to China 20 years ago, is decrying Beijing's administration of the territory on the anniversary of the historic handover. Chris Patten, who served as governor of Hong Kong from 1992 until it was returned to China in 1997, writes in Friday's The New York Times that Beijing has largely failed to keep its promise of "one country, two systems." That approach to governance was supposed to afford the territory a "high degree of autonomy," including a modicum of democratic rule and a civil society developed over more than 150 years of British rule. "There have been attacks on the independent judiciary and the rule of law," Patten writes in the Times, adding specific cases in which Beijing had trampled on basic rights and clamped down on free speech. Hong Kong island was ceded to Great Britain in 1842 in the Treaty of Nanjing. Kowloon and the New Territories became part of the British colony in successive decades. A lease on the New Territories, which was set to expire in 1997, triggered talks to handover the territory, by then a thriving international port and banking center with a cultural sensibility that was as Western as it was Asian. When negotiations for the return of Hong Kong were underway, Patten sought to codify protections for Hong Kong that would preserve its unique identity and way of life. And in the early years after the handover, China maintained a relatively hands-off approach. In recent years, however, Beijing has increasingly clamped down on any dissent and moved to quash direct elections for Hong Kong's chief executive. In 2014, student-led pro-democracy demonstrations choked the streets in Hong Kong's busy business districts. The so-called Umbrella Movement was eventually shut down by police. Patten notes that Hong Kong's new chief executive, Carrie Lam, who is due to be sworn-in this week, was elected "by just a few hundred local citizens" and as the No. 2 government official in the territory is "best known for refusing to have any dialogue with the pro-democracy protesters ..."
"Hong Kong is a small place, but its fate will loom large over the 21st century. For what happens there will answer the question: Can China be trusted?"